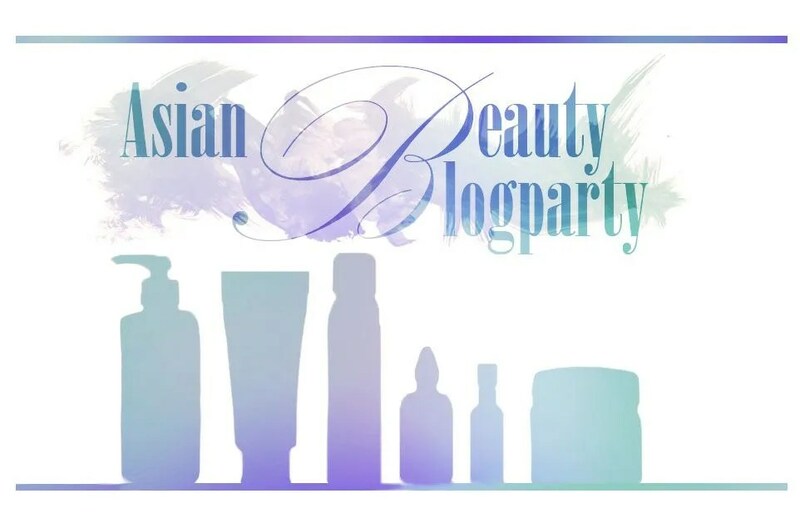 This week, the Asian Beauty Blog Partiers will give you a peek into their travel kits. 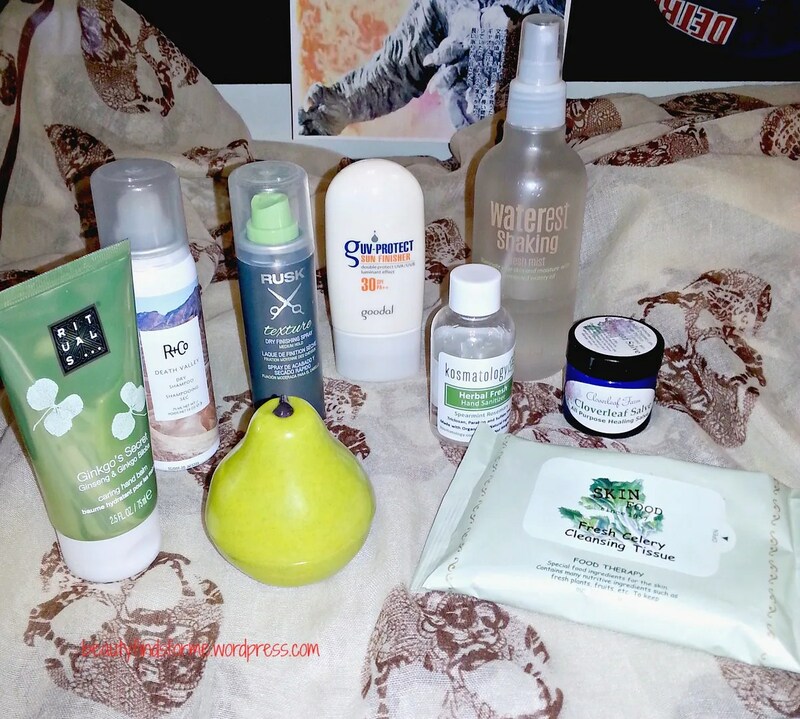 Since I throw the kitchen sink AND my beauty supplies into my bags when I travel, I felt that wasn’t fair ~ I normally drive or take the train when I travel, so I have a bit more leeway to add more items than I would if I just traveled by plane. Instead of showing you my kitchen sink, I decided to show you my “home away from home” kit ~ some of the items I keep at my desk at work. How original, huh? I like having stuff at my desk so in case I need to use them. I have a whole display of vitamins, supplements and OTC medicines that line one of my lower bookcase shelves! haha Let’s see what else I have at my desk. Handcreams! I always have a couple of hand creams at my desk ~ this time, a fun kawaii quince shaped hand cream from The Saem and a tube of Rituals Ginkgo’s Secret (ginseng & ginkgo biloba). A couple of hair products ~ hairspray (currently Rusk Texture hairspray) and dry shampoo ~ I love the scent of R&Co Death Valley dry shampoo (coconuts!) ~ and yes, I do have a brush and mini blowdryer at my desk too! Sunscreen, in this case, I have Goodal’s UV Protect Sun Finisher ~ not the highest SPF ~ time to get a 50 SPF at my desk. I always have sunscreen at my desk, because I like to walk sometimes at lunch ~ whether it is to exercise or foraging for food (ahaha). After my walk, face mist! The last of my Goodal Waterest Shaking Mist (sobs ~ they discontinued this) ~ just the right balance of moisture and refreshing goodness. I am a HUGE fan of Kosmatology products and their hand santiziers are fab ~ no alcohol and they come in fun scents like Goody Goody Grapefruit (grapefruit clove) and Herbal Fresh (spearmint & rosemary). I catch colds easily and although I am not a germaphobe, having a nice hand santizier around is great (not only for me, but to offer to my coworkers as well). Skinfood Fresh Celery Tissues are great for freshening up my face and even my hands, if I eat at my desk and need to clean them quickly. I also keep a jar of salve as well ~ sometimes when I print off my presentations, documentation or emails, I will get paper cuts and I like having an eco-friendly salve around for minor cuts. This one is by Cloverleaf Farms and is very rich and healing ~ made with calendula, lavender, marshmallow root, chickweed, witch hazel, aloe, apricot & almond oil, plus candellia wax and lemon essential oils. I tell you, I cannot have enough hand products as my hands are always SO dry. Ironic, as my face is so oily!! Yes, I do keep a scarf at my desk as well ~ this is one that I think I got during a Julep promo and it is nice ~ a cream colored scarf with paisley printed brown skulls on it ~ most people don’t even notice the skull design! Yes, I have more!! The perks of having a huge desk 🙂 Zit medicine ~ sometimes I need to touch up during the day and I like using Innisfree Biji Anti-Trouble Spot Essence. It smells nice and it also absorbs quickly without any white cast. A little mirror to apply my spot cream and other things. I love this Green Tea Mist Deo from Skinfood that I recently got in one of my Memeboxes ~ it has a refreshing scent and it is good to mask up other scents (like stinky feet after walking at lunch time!! Come on ~ we’ve ALL been there!!) I also like to keep a couple of neutral lippies at my desk, in case I have to go into a meeting quickly and don’t have time to hunt around in my bag. 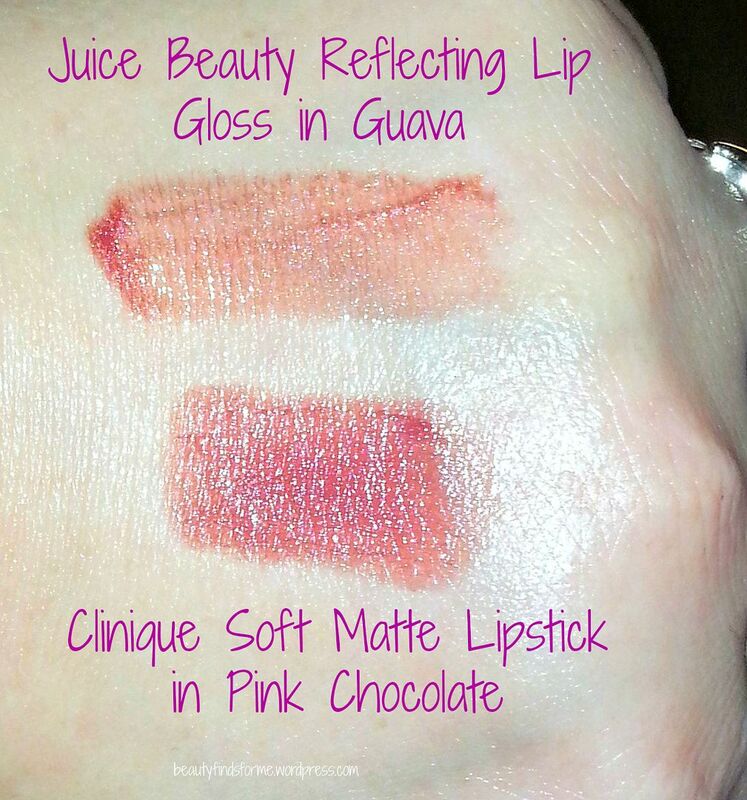 I have Clinique soft matte lipstick in Pink Chocolate and Juice Beauty reflecting lip gloss in Guava. Yu-Be Moisturizing skin cream ~ I actually use this more in the winter and as a lip balm for when my lips get chapped. A little goes a lonnng way. A little perfume ~ Kuumba Made Amber & Sandalwood Oil ~ this is a nice little roll-on oil that smells divine and a little goes a long way ~ I got this at Whole Foods. As I suffer from sinuses, I was thrilled to get Himalayan Institute Neti Stik, which is an aromatic inhaler (thinks Vicks inhaler, only better smelling) in one of my recent Herbal Bliss Co boxes. And more stuff for my hands ~ this time, for my nails. Nail clipper, glass nail file and I re-purposed the multi-balm from Primary Raw (this came with the Lumpoule) as a cuticle balm! Works great and it is really cute too. And of course, drinks. Teas, Japanese coffee sticks (need to get more) and my Vita-C fizzy drinks for when I am feeling under the weather. 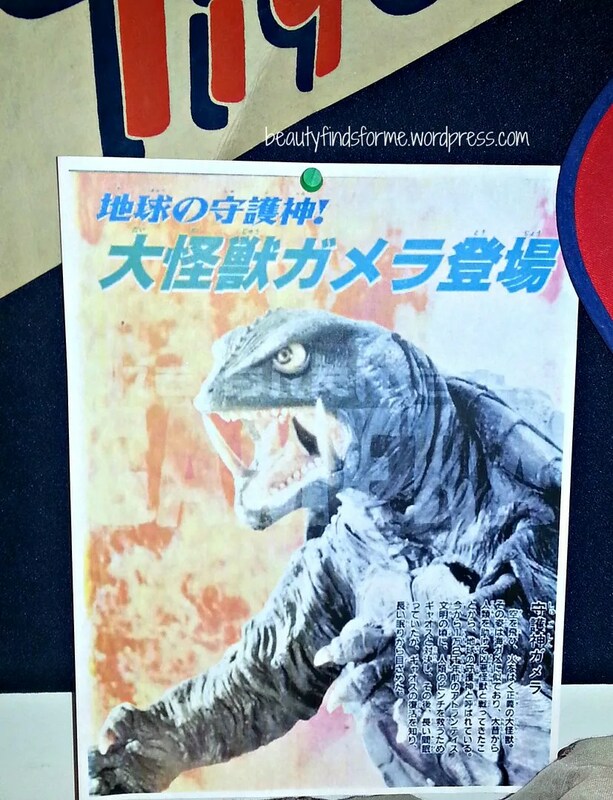 So, what do you keep at your desk at work? 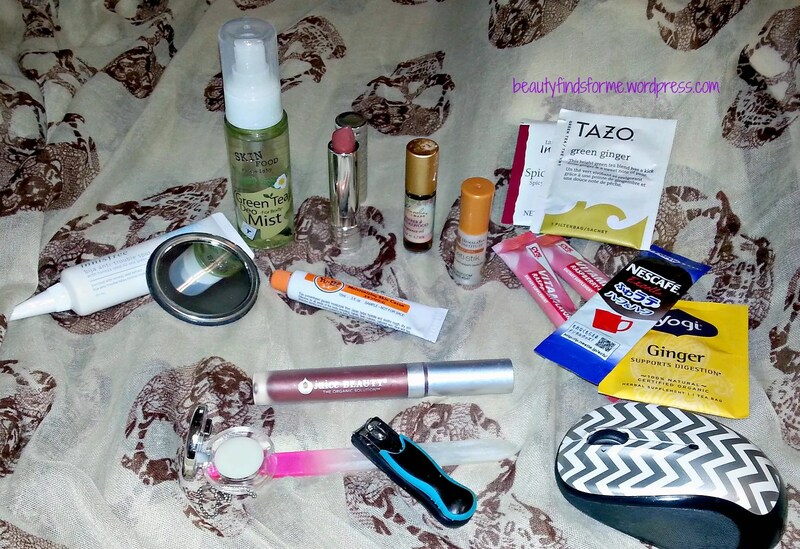 Or perhaps you are a traveler ~ what are the essentials in your travel kit? Unboxing May 2016 Yogi Surprise Lifestyle Box + Promo Code & June Spoilers! I love Yu-Be cream~ In winter it’s my lifesaver! I resisted it for a long time (as I thought it was too rich for my skin) and then I read you can use it on your lips – I love it now!